"ITAR" redirects here. For the Russian news agency, see Information Telegraph Agency of Russia. International Traffic in Arms Regulations (ITAR) is a United States regulatory regime to restrict and control the export of defense and military related technologies to safeguard U.S. national security and further U.S. foreign policy objectives. Defense-related articles and services on the United States Munitions List (USML) are covered by the regulations, which implement the provisions of the Arms Export Control Act (AECA), and are described in Title 22 (Foreign Relations), Chapter I (Department of State), Subchapter M of the Code of Federal Regulations. The Department of State Directorate of Defense Trade Controls (DDTC) interprets and enforces ITAR. The related Export Administration Regulations (Code of Federal Regulations Title 15 chapter VII, subchapter C) are enforced and interpreted by the Bureau of Industry and Security in the Commerce Department. The Department of Defense is also involved in the review and approval process. Physical enforcement of the ITAR; and all import and export laws of the United States is performed by Homeland Security Investigations Special Agents (formerly U.S. Customs) under Immigration and Customs Enforcement, an agency of the Department of Homeland Security. Additionally, Customs and Border Protection Officers, also under the Department of Homeland Security, inspect imports and exports at U.S. Border Crossings and International Airports and enforce import and export regulations. For practical purposes, ITAR regulations dictate that information and material pertaining to defense and military related technologies (items listed on the U.S. Munitions List) may only be shared with U.S. Persons unless authorization from the Department of State is received or a special exemption is used. U.S. Persons (including organizations; see legal personality) can face heavy fines if they have, without authorization or the use of an exemption, provided foreign persons with access to ITAR-protected defense articles, services or technical data. The U.S. Munitions List changes over time. Until 1996–1997, ITAR classified strong cryptography as arms and prohibited their export from the U.S. Another change occurred as a result of Space Systems/Loral's conduct after the February 1996 failed launch of the Intelsat 708 satellite. The Department of State charged Space Systems/Loral with violating the Arms Export Control Act and the ITAR. As a result, technology pertaining to satellites and launch vehicles became more carefully protected. ITAR does not apply to information related to general scientific, mathematical or engineering principles that are commonly taught in schools and colleges or information that is in the public domain. :§ 120.10(5):§ 120.11 Nor does it apply to general marketing information or basic system descriptions. :§ 120.10(5) Broad interpretations of these exceptions have faced several legal challenges. For example, college professors have been prosecuted for breaches of the AECA as a result of access to USML items by foreign graduate students and companies have been penalized for alleged breaches of the AECA for failing to properly remove USML items from material used to market defense articles. The U.S. Government has also taken action (albeit unsuccessfully) for the export of technical data that was allegedly already publicly available on the Internet. ITAR applies to items identified under the Invention Secrecy Act. The AECA and ITAR were enacted in 1976 during the Cold War with USSR and were intended to implement unilateral arms export controls that reflected those imposed on Eastern Bloc countries by the multilateral Coordinating Committee for Multilateral Export Controls. U.S. Government enforcement activities have increased dramatically since 1999, when the U.S. Department of State took over export regulations for satellites. The U.S. Department of State has published 29 instances of Consent Agreements (agreements entered into by parties charged with breaches of ITAR) since 1999. This compares to 12 Consent Agreements in the preceding 22 years. ITAR's prominence has also increased as its implications for foreign parties that handle USML items have become better understood (see "Controversy" below). ITAR's impact of increased regulations also meant America's worldwide market share in satellite technology declined from 83 percent to 50 percent in 2008, states The Economist, which cited a report from Space Review. In early 2013 legislation was passed allowing the removal of satellite technology from ITAR regulation. All U.S. manufacturers, exporters, and brokers of defense articles, defense services, or related technical data, as defined on the USML, are required to register with U.S. Department of State. Registration is primarily a means to provide the U.S. Government with necessary information on who is involved in certain manufacturing and exporting activities. Registration does not confer any export rights or privileges, but is a precondition for the issuance of any license or other approval for export. Registration fees start at US$2,250 per year. Under ITAR, a "US person" who wants to export USML items to a "foreign person" must obtain authorization from the U.S. Department of State before the export can take place. A foreign person is any person who is not a lawful permanent resident of the U.S. and includes foreign governments and organizations. :§ 120.16 This means that, for example a foreign person who is visiting the U.S. will remain a foreign person for the purposes of ITAR and any export of USML items to them inside the U.S. must be subject to an export authorization. This is similar to the concept of "Deemed Exports" used by the Bureau of Industry and Security within the Department of Commerce in administration of the Export Administration Regulations although the Department of State does not use the term "Deemed Export" (see also "Restrictions on Dual and Third Country Nationals below"). a Manufacturing License Agreement ("MLA") which authorises a U.S. manufacturer to supply manufacturing know-how related to defense articles to a foreign person. Collaborative programs (also known as "Armaments Cooperative Projects" ("ACPs")) between the U.S. and foreign Governments (such as the Joint Strike Fighter) may also authorize export of USML items (subject to strict controls). ITAR also operates to prohibit the "Retransfer" (also called "Re-export") of items on the USML by foreign persons unless the Retransfer is specifically authorized under the relevant export authorization. 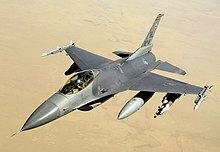 ITAR's restrictions on retransfer blocked Venezuela's threatened sale of used F-16 aircraft to Iran in 2006. The prohibition on Retransfer stems from the requirement for all export authorizations to include the statement that "[t]he technical data or defense service exported from the United States in furtherance of this agreement and any defense article which may be produced or manufactured from such technical data or defense service may not be transferred to a person in a third country or to a national of a third country except as specifically authorized in this agreement unless the prior written approval of the Department of State has been obtained." Where a foreign person requires access to USML items exported under a specific export authorization, but that foreign person is not authorized under the export authorization, the export authorization must be amended and re-approved by the U.S. Department of State. This can be a time-consuming process. ITAR treats access to USML items by "Dual-National" and "Third Country National" employees of a foreign organization as a Retransfer to the employees' other countries of nationality. :¶ 3.9.b As a result, access to USML items by such employees must be specifically authorized under the relevant export authorization. :¶ 3.9.c If access to USML items by Dual and Third Country National employees of a foreign organization is authorized, it only authorizes transfer to the employee. It does not authorize export to the employee's country of Dual or Third Nationality. If a U.S. export authorization is silent as to access by Dual and Third Country National employees of a foreign party, the authorization has the effect of limiting access to employees who are nationals only of the country of their employer. This means that, for example, a TAA that includes a UK company as the foreign person, but which does not include clauses authorizing access by Dual and Third Country Nationals will limit access to USML items supplied under the TAA to employees of the UK company who are UK citizens only. Clauses approved by the U.S. Department of State must be included in TAAs and MLAs in order to authorize access to USML items by Dual and Third Country National employees of foreign parties to the export authorization. These clauses will generally permit access by Dual and Third Country Nationals from NATO, EU, Japan, Switzerland, New Zealand and Australia (subject to certain conditions). Employees of foreign persons holding Dual or Third Country Nationality from countries proscribed under ITAR 126.1, such as Vietnam, The People's Republic of China ("PRC"), North Korea, Syria and Iran, will, as a general rule, not be authorized to have access to USML items. :20 It is less-clear how Dual and Third Country Nationals are addressed in FMS Cases and export licenses such as DSP-5s. The U.S. Government has substantially increased action against organizations and individuals responsible for breaches of ITAR since 1999. The most notable enforcement action was the $100M penalty applied to ITT as a result of the unauthorized Retransfer of night vision technology to the PRC in 2007. Other major U.S. defense contractors penalized for alleged breaches of ITAR in recent years include (among others) Lockheed Martin, Motorola, Boeing, L-3 Communications, and Northrop Grumman. In most cases, penalties against corporate entities involve a mandatory compliance component requiring the entity to spend funds on compliance measures, including the appointment of "Internal Special Compliance Officers". Penalties may also require the party to submit to external audit. In serious cases, a party may be debarred from future exporting for a period of time. treats breaches of ITAR as a strict liability offence and will penalize a successor or purchaser of a company that has breached ITAR as though it was responsible for the breaches. 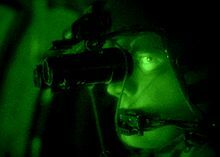 The unauthorized export of night vision technology has been the subject of several enforcement actions by the U.S. Government. the prosecution of Chi Mak in 2007 as a result of (among other things) the attempted export of USML items to the PRC (Chi Mak was subsequently sentenced to 24 ½ years in Federal prison). Since 1990, the U.S. Government has also operated the "Blue Lantern" end-use monitoring program. Blue Lantern "monitors the end-use of commercially exported defense articles, defense services, and related technical data subject to licensing or other authorizations under section 38 of the AECA." Blue Lantern checks are conducted following a careful selection process to identify transactions that appear most at risk for diversion or misuse. Unfavorable Blue Lanterns are reviewed by DTCC's Enforcement Division. Where appropriate, parties involved in unfavorable Blue Lantern cases may be subject to civil enforcement actions or referred to law enforcement for criminal investigation. Because failure to implement an effective export compliance program can be an exacerbating factor in the event of a breach of ITAR, the U.S. Government encourages U.S. exporters to implement internal export compliance programs. The U.S. Government may also require U.S. exporters that are party to an export authorization to develop a "Technology Transfer Control Plan" specific to that export authorization. Other countries also encourage their nationals who are using USML items to implement internal export compliance programs to address ITAR requirements. It is notable that the failure of overseas companies to implement ITAR compliance programs has been criticized by the U.S. Department of State. Companies in U.S. and Overseas are increasingly using the ERP software to track the ITAR controlled items through the Supply Chain. While political debate over the wisdom of placing all satellite and launch technology on the US Munitions List (USML) has been ongoing since the advent of ITAR regulation in 1999, there has been a shift in political opinion since 2007. In late 2012, the US Congress passed the 2013 defense authorization bill which, if signed into law, will allow U.S. satellite manufacturers to "be more able to collaborate with international partners and [place] U.S. component makers on a more even footing in the global marketplace." The bill "allows the president to remove commercial satellites and components from the U.S. Munitions List (USML) and allows him to decide which satellite technologies are the most important to protect. The bill still restricts the export and transfer of technology to China, Cuba, Iran, North Korea, Sudan and Syria." The political changes in 2012 came after several years of a gradual shift in thinking. In 2010, the Congress formally requested "an assessment of the national security risks of removing satellites and components from the USML. The study, known as the 1248 report, was completed in April 2012. While satellite technology had been subjected to ITAR since 1999, the U.S. had seen its share of global satellite manufacturing halved with, according to the Aerospace Industries Association, an estimated loss of $21 billion in revenue from 1999 to 2009. There is an open debate between the Department of State and the industries and academia regulated by ITAR concerning how harmful the regulatory restrictions are for U.S.-domiciled businesses and higher education institutions. "Disclosing (including oral or visual disclosure) or transferring technical data to a foreign person"
"Performing a defense service on behalf of, or for the benefit of, a foreign person, whether in the United States or abroad"
Where the definition of "defense service" includes "the furnishing of assistance (including training) to foreign persons, whether in the United States or abroad in the design, development, engineering, manufacture, production, assembly, testing, repair, maintenance, modification, operation, demilitarization, destruction, processing or use of defense articles." The ITAR specifies that the products of "fundamental research" are not considered controlled "technical data," so long as they are published freely. Fundamental research is defined as university-based "basic and applied research in science and engineering where the resulting information is ordinarily published and shared broadly within the scientific community, as distinguished from research the results of which are restricted for proprietary reasons or specific U.S. Government access and dissemination controls." Research that does not meet the criteria of "fundamental research" cannot involve foreign persons without export licenses; however, research activities that are considered fundamental typically can involve foreign persons, even when they involve the design and construction of defense articles, as the US State Department has deemed such research activities to fall outside of the purview of training activities that would constitute the illegal export of a "defense service." The need to make this distinction has led many U.S. research universities to adopt ITAR policies and compliance programs. These measures can vary widely; for example, MIT states that "the intent of the ITAR is that research conducted on campus, without restrictions on publication or participation, is fundamental research from inception to publication as long as the intent is to publish the results," while Stanford University maintains a more nuanced and restrictive approach to research involving defense articles. University interpretation and up-to-date understanding of export control regulations and willingness to seek opinions from the U.S. State Department affect the research that can be conducted on their campuses; for example, the University of Michigan successfully obtained an opinion from the Department of State stating that satellite development work on an (at the time) ITAR-controlled satellite being conducted by a student group containing both U.S. and non-U.S. citizens was considered fundamental research and was allowed to proceed. In contrast, as of March 2016, Stanford's Export Control Officer maintains that all satellite systems are controlled defense articles under the ITAR (despite their reclassification under the EAR in 2014) and, based on NASA criteria for automatic designation of a research project as fundamental research, does not consider projects above TRL 4 to be fundamental research, limiting the activities of laboratories and project-based groups on campus. This and similar policies are particularly damaging to international students studying aerospace engineering or related fields at U.S. universities, as opportunities to gain practical experience in their studies through internships are, due to licensing requirements, typically not offered to them at U.S. aerospace companies, and on-campus projects, when allowed, offer an alternate route for developing skills like those obtained through internships and co-op programs. In April 2006, the Australian Government was reported to have chosen EADS MRH-90 troop-lift helicopters in preference to U.S. Sikorsky models because "the European bid offered the ADF better access to crucial computer source code than the Sikorsky bid". ITAR controls, as well as separate policy concerns, have hampered international cooperation in development of the F-35 Lightning II, also known as the Joint Strike Fighter (JSF). Both the UK and the Australian governments demanded a guarantee that the U.S. will fully disclose technology needed for the JSF project before they would commit to further involvement in the project. Concerns over connections between the Boeing 787 and the B-2 Spirit stealth bomber prompted Boeing to take elaborate steps cleansing the commercial jet of any military technology. The issue arose when Boeing engineers, fearing indictment and penalties, refused to sign forms declaring that the 787 was "ITAR-free." As a result, Boeing conducted extensive research on the source of technology implemented on the 787. They removed all military technology and either found a commercial source for the same technology or replaced it with technology derived from a commercial source. For the F-X2 program, the Brazilian government have chosen the French Dassault Rafale over the Boeing F/A-18E/F Super Hornet due to concerns over technology transfer barriers and ITAR regulations, regardless that the Brazilian Air Force and the majority of their pilots preferred the Super Hornet over other bidders. Nelson Jobim, Defense minister of Brazil, said: "the U.S. government could give no upfront guarantee and Brazil had seen a series of U.S. technology embargoes." The lucrative contract, which will be signed after the 2010 Brazilian elections[needs update], is for 36 aircraft and will be extended to over 100 units in the next decade. The U.S. Department of State charges back fees to manufacturers who have failed to register previously. Smaller exporters who may not have been aware of the requirement to register can potentially be charged crippling back fees when they first register. Allegations have been put to the U.S. Department of State-industry advisory group, the Defense Trade Advisory Group, that charging back fees discourages some manufacturers from registration. Restrictions on Retransfer of USML items can also cause difficulties where those items have been incorporated into a product manufactured by a foreign person. If the foreign person wants to Retransfer the product to another foreign person, it must obtain authorization from the U.S. Government before the Retransfer can take place. in 2006, Embraer of Brazil was also prevented from selling Super Tucano aircraft to Venezuela by the U.S.
As a consequence of the blocking of these sales, Venezuela has subsequently purchased aircraft and other military hardware from Russia and Belarus. In 2010 the Halifax-class frigate will be using as much non-American equipment as possible, including technology from Canada, Sweden, Germany, the Netherlands and Israel. The International Traffic in Arms Regulations have also been blamed for the delay of the CH-148 Cyclone which is currently two years behind the original schedule. In 2010 the Sikorsky CH-148 Cyclone helicopter was faced with delays and restrictions. The first 19 of the 28 CH-148 Cyclones will be delivered in an interim standard which does not meet the original contract requirements. Although "nationality" is not defined under ITAR, it is accepted that the U.S. Government will take country of origin and continued ties or allegiance to a country into account when determining Dual or Third Country Nationality. This means that a person who was born in the UK but is a U.S. permanent resident working in the U.S. for a U.S. company will be considered a U.S. person only (under the definition of "US person"). If, however, the same person emigrated to Canada, obtained Canadian citizenship and commenced employment with a Canadian company, she would be treated as a Canadian-UK Dual National for the purposes of any U.S. export authorization to which her employer was a party. If she did not obtain Canadian citizenship but instead became a temporary or permanent Canadian resident, she would be treated as a UK Third Country National for the purposes of such U.S. export authorization. It is also possible for a person who was born in one country to become a Dual National for the purposes of ITAR without necessarily leaving his country of origin, simply by obtaining a foreign passport (thereby "holding nationality" from another country). This is frequently the case where the individual's parent/s were born in a country that grants citizenship to children of its citizens, regardless of where the children were born, for example, a child born in Canada to parents who were born in the UK is able to obtain a UK passport (see British nationality law). Once he has done so, he becomes a Canadian-UK Dual National for the purposes of ITAR. Restrictions on access to USML items by Dual and Third Country National employees of foreign persons essentially forces foreign persons to discriminate against their employees who do not meet the nationality criteria under an export authorization. Such discrimination may be illegal in some countries under anti-discrimination law (such as in Canada and Australia). In addition, the prohibition on access by Dual and Third Country Nationals from countries proscribed under ITAR 126.1 can cause problems for countries with large immigrant populations from those countries (such as Canada and Australia, which both have large Overseas Chinese and Overseas Vietnamese immigrant populations: see immigration to Canada and immigration to Australia). General Dynamics Land Systems was fined US$20m in 2004 for breaches of the AECA by its predecessor, GM Defense, that included access to USML items by unauthorized Dual Nationals. The unauthorized access had included direct access to USML items and access to international computer systems on which USML items were stored by Dual Nationals from countries including Syria and the PRC. It is important to note that, in both cases, theoretical access to the USML items overseas or by foreign persons is sufficient to constitute a breach of ITAR. Files on a laptop carried overseas do not need to be opened overseas, and foreign persons do not need to have actual access to USML items on computer networks for a breach to occur. Theoretical access to USML items by foreign persons (including dual and third country nationals) can create difficulties for the engagement of IT professionals from overseas as network administrators or the use of overseas companies to support IT systems. This also creates significant challenges for manufacturers of ITAR-related items with respect to hiring practices. Avoiding discrimination while screening applicants for their ability to access ITAR materials can often be an HR nightmare. Several countries have sought ITAR exemptions or treaties with the U.S. Government in an effort to minimize the impact of ITAR, with varying degrees of success. The U.S. Government remains reluctant to consider broad exemptions from ITAR because of continuing concerns regarding the adverse effect unauthorized release of USML items can have on U.S. national security. Congressman Henry Hyde repeatedly blocked an ITAR waiver for the UK. Canada is the recipient of an ITAR exemption related to the 1963 Defense Development Sharing Arrangement with the U.S. Government. Attempts by the UK Government to obtain a similar exemption were also stymied. The UK Government sought an exemption in the context of the JSF project. The Clinton administration promised the United Kingdom's Ministry of Defence that an ITAR waiver would be given, allowing greater technology transfer associated with the project. Yet, despite the backing of the Bush administration, the waiver was repeatedly blocked by the late U.S. Congressman Henry Hyde because of his security concerns about potential technology transfer to third countries. With his departure, ITAR-related impacts regarding the F-35 / JSF program remain in flux. These difficulties caused the UK to threaten that it would abandon the JSF project and consider alternative aircraft. The U.S. Government signed bilateral defense trade cooperation treaties with the UK and Australian governments in June and September 2007 respectively. The treaties are designed to allow the exchange of technical data, defense articles and defense services (including USML items) without the need for export authorizations such as TAAs and MLAs, subject to restrictions on the type and classification of the technology in question and its intended end-use. In return, the UK and Australian governments will be required to take steps to improve their export control laws (such as the Australian Customs Act). As of September 2008, the U.S. Senate Foreign Relations Committee had deferred consideration of the treaties on the grounds that it had not had time to properly evaluate proposed amendments to ITAR required in order to implement the treaties. There have been exemptions for scientific research: notably certain specialized components used in the Large Hadron Collider are "dual use" but as the US contributes both research grant money and personnel it is generally believed that a reciprocal arrangement exists. Before 1992, satellite components were classified as munitions, and ITAR export compliance was controlled by the State Department. After the Space Shuttle Challenger disaster resulted in a growing backlog of commercial satellite launches, ITAR kept the Soviet Union out of the market. In September 1988, U.S. President Ronald Reagan agreed to allow U.S satellites to be launched on Chinese rockets. Communications satellites were gradually transferred from the State Department to the Commerce Department in 1992–1996, falling under the Export Administration Regulations. After the failed launches of Apstar 2 (1995) and Intelsat 708 (1996), the satellite insurance companies required the satellite manufacturers to work with China to investigate the failures. The Commerce Department determined that the "export" of information as part of the failure analysis complied with the export license. However, the Justice Department maintained that a separate export license was required in addition to the original launch license. In 1998, Congress reclassified satellite technology as a munition and returned it to the control of the State Department under ITAR. Space Systems/Loral paid a $20 million fine in 2002, and Boeing paid a $32 million fine in 2003 on behalf of its Hughes subsidiary. The ChinaSat 8 satellite, which had been scheduled for launch in April 1999 on a Long March 3B rocket, was placed in storage for a decade and finally launched on a French rocket in 2008. China used the results of the insurance investigation to improve the reliability of its Long March rockets, which would not experience another mission failure until 2011. ITAR has been blamed for "destroy[ing] an industry," reducing the market share of U.S. satellite makers by almost 25% from 1997 to 2007. The European company Thales Alenia Space developed a line of ITAR-free satellites that used no restricted U.S. components, allowing them to be launched on Chinese rockets between 2005 and 2012. However, the U.S. Department of State did not accept the ITAR-free status of these satellites and fined the US company Aeroflex $8 million for selling ITAR components. Thales Alenia was forced to discontinue its ITAR-free satellite line in 2013. In May 2014, the United States Department of State reclassified satellites and several related components so they will no longer be treated as munitions whose export is controlled by ITAR, but will be covered instead under the Export Administration Regulations. These new classifications took effect in November 2014, six months after the announcement of the reclassification. Restrictions were loosened on 36 countries, strict controls remained on another 150 countries, and exports remained prohibited to 20 countries. An official at the Bureau of Industry and Security emphasized that "no U.S.-origin content, regardless of significance, regardless of whether it’s incorporated into a foreign-made item, can go to China." Thales Alenia had long complained that "every satellite nut and bolt" was being classified as ITAR-restricted, and the European Space Agency accused the United States of having no real interest in protecting U.S. satellite technology. ITAR remains a major concern in the European aerospace industry as of 2016. The European Space Agency and the Japanese Aerospace Exploration Agency have supplied components that were launched on Chinese rockets. European manufacturers of satellite components report that ITAR-free status is the first question they are asked by potential customers. Even U.S. companies have expressed interest in ITAR-free technology. The Chinese space industry has been able to sell in the global market by bundling Chinese satellites with Chinese rockets, avoiding ITAR. ^ "U.S. State Department – Policy – Directorate of Defense Trade Controls". Pmddtc.state.gov. Archived from the original on 2010-09-14. Retrieved 2010-07-08. ^ "1999 CFR Title 26, Volume 11". Access.gpo.gov. Archived from the original on 2010-05-27. Retrieved 2010-07-08. ^ a b "US State Department – Policy – Directorate of Defense Trade Controls". Pmddtc.state.gov. 2009-10-01. Archived from the original on 2010-07-08. Retrieved 2010-07-08. ^ a b c "US State Department – Policy – Directorate of Defense Trade Controls". Pmddtc.state.gov. Archived from the original on 2010-07-08. Retrieved 2010-07-08. ^ "Cyberlaw (Tm) – Cryptography & Speech". Web.archive.org. 2005-12-01. Archived from the original on 2005-12-01. Retrieved 2010-07-08. ^ "DRAFT CHARGING LETTER" (PDF). Office of Defense Trade Controls, Bureau of Political Military Affairs, U.S. Department of State. Retrieved 2016-01-05. ^ "pmdtc.org". pmdtc.org. Archived from the original on February 9, 2014. Retrieved 2010-07-08. ^ "#08-449: 05-20-08 University Professor and Tennessee Company Charged with Arms Export Violations". Usdoj.gov. 2008-05-20. Retrieved 2010-07-08. ^ "Proposed Charging Letter : July 24, 2008 : Jay A. Brozot" (PDF). Pmddtc.state.gov. Retrieved 24 February 2015. ^ "Acquitted Export Defendant Seeks Legal Fees from USG". ExportLawBlog. 2008-02-25. Retrieved 2009-02-23. ^ "Prosecutors Reverse Course in China Spy Case – The New York Sun". Nysun.com. Retrieved 2014-05-20. ^ View all comments that have been posted about this article. "Chinese Spy 'Slept' In U.S. for 2 Decades". Washingtonpost.com. Retrieved 2014-05-20. ^ "History". Wassenaar.org. Archived from the original on 2012-06-30. Retrieved 2014-05-20. ^ "Export Control Provisions". Fas.org. Retrieved 2014-05-20. ^ "DSP-5 Export License Application Requirements". Export Rules. Retrieved 2010-07-08. ^ a b The Economist, Aug. 23, 2008 edition. U.S. Edition. Page 66. "Earthbound"
^ a b Stephen Clark (3 January 2013). "Obama signs law easing satellite export controls". Spaceflight Now. Retrieved 4 January 2013. ^ "US State Department – Policy – Directorate of Defense Trade Controls". Pmddtc.state.gov. Archived from the original on 2010-07-08. Retrieved 2010-07-08. ^ "US State Department – Policy – Directorate of Defense Trade Controls". Pmddtc.state.gov. Archived from the original on 2012-05-29. Retrieved 2012-05-13. ^ "Update Day 1: State Department Export Controls". Export Control Blog. 2006-10-16. Archived from the original on 2010-05-07. Retrieved 2010-07-08. ^ "Hondura : Failing to Protect its People". Ciponline.org. Archived from the original on February 12, 2009. Retrieved February 24, 2015. ^ a b c d e f g h i j k l m "Guidelines for Preparing Electronic Agreements (Revision 4.1)" (PDF). U.S. State Department Bureau of Political Military Affairs, Directorate of Defense Trade Controls, Office of Defense Trade Controls Licensing (DTCL). October 9, 2013. Retrieved May 20, 2014. ^ a b c d "Microsoft Word – US Export Controls Guidance for Australian Companies _August 07_.doc" (PDF). Retrieved 2010-07-08. ^ "Third Party Transfers". State.gov. 2005-01-25. Retrieved 2010-07-08. ^ "GUIDELINES FOR COMPLETION OF THE APPLICATION FORM DSP-5" (PDF). Retrieved 2010-07-08. ^ a b c "Background Briefing – 24 August 2008 – Defence and discrimination". Abc.net.au. 2008-08-24. Retrieved 2010-07-08. ^ "p16" (PDF). Defence.gov.au. 2013-03-15. Retrieved 2014-05-20. ^ a b "US State Department – Policy – Directorate of Defense Trade Controls". Pmddtc.state.gov. Archived from the original on 2010-07-09. Retrieved 2010-07-08. ^ a b "Lockheed Martin Corporation" (PDF). Pmddtc.state.gov. Retrieved 24 February 2015. ^ "US State Department – Policy – Directorate of Defense Trade Controls". Pmddtc.state.gov. Archived from the original on 2010-07-09. Retrieved 2010-07-08. ^ "ITT, Draft Charging Letter" (PDF). Retrieved 2014-05-20. ^ "Proposed Charging Letter : June 9, 2008 : Wanda Denson-Low" (PDF). Pmddtc.state.gov. Retrieved 24 February 2015. ^ "US State Department – Policy – Directorate of Defense Trade Controls". Pmddtc.state.gov. Archived from the original on 2014-02-09. Retrieved 2014-05-20. ^ "General Motors Corp. and General Dynamics Corp., Draft Charging Letter" (PDF). Retrieved 2014-05-20. ^ a b "Luxembourg Company Agrees to $25 Million Fine for Illegal Exports". ExportLawBlog. 2009-01-06. Retrieved 2014-05-20. ^ "Draft-Charging Letter" (PDF). Retrieved 2014-05-20. ^ "Smuggler of U.S. military equipment to Taiwan pleads guilty". Ice.gov. Archived from the original on June 3, 2010. Retrieved 2010-07-08. ^ "Three men indicted in scheme to illegally export night vision goggles to Vietnam". Ice.gov. Archived from the original on 2012-06-06. Retrieved 2010-07-08. ^ Warrick, Joby; Johnson, Carrie. "Chinese Spy 'Slept' In U.S. for 2 Decades". The Washington Post. Retrieved 5 May 2010. ^ a b c d "End-Use Monitoring of Defense Articles and Defense Services Commercial Exports FY 2012" (PDF) (PDF). US Department of State. This report summarizes the Department of State’s administration of its “Blue Lantern” end-use monitoring program in FY 2012. ^ "US State Department – Policy – Directorate of Defense Trade Controls". Pmddtc.state.gov. Archived from the original on 2014-05-21. Retrieved 2014-05-20. ^ "Compliance Program Guidelines" (PDF). Retrieved 2014-05-20. ^ "RISK ASSESSMENT OF UNITED STATES SPACE EXPORT CONTROL POLICY, Report to Congress, Section 1248 of the National Defense Authorization Act for Fiscal Year 2010 (Public Law 111 – 84)" (PDF). Departments of Defense and State. See Appendix 5, Special Export Controls (Monitoring). Archived from the original (PDF) on 2014-09-21. ^ "26" (PDF). Retrieved 2014-05-20. ^ a b c DiMascio, Jen (2012-12-24). "Bill Eases Export Rules on Commercial Satellites". Aviation Week and Space Technology. Retrieved 2012-12-27. ^ a b c Richard Kusiolek (July 1, 2008). "ITAR Dilemma: Finding The Balance Between Regulation And Profit – Page 1 of 3 :: Via Satellite". Satellitetoday.com. Retrieved 2010-07-08. ^ David A. Broniatowski; et al. "Balancing the Needs for Space Research and National Security in the ITAR". ^ a b "Electronic Code of Federal Regulations, Title 22, Chapter I, Subchapter M, Part 120". ^ a b Mitchell A. Goodkin. "UNDER THE INTERNATIONAL TRAFFIC IN ARMS REGULATIONS, FUNDAMENTAL RESEARCH OVERRIDES DEFENSE SERVICES" (PDF). ^ "Fundamental Research and ITAR". MIT Office of Sponsored Programs. ^ "Export Control Applicability and Policy Background, and Regulatory Authority". Stanford University Office of the Vice Provost and Dean of Research. ^ "NASA Procedural Requirements Appendix E. NASA Fundamental Research Designation Guidelines". ^ Steve Eisner. "Negotiating and Managing University/Industry Collaborative Space Science: An Academic Perspective" (PDF). ^ "#07-807: 10-11-07 Fact Sheet: Major U.S. Export Enforcement Actions in the Past Year". Usdoj.gov. Retrieved 2010-07-08. ^ Brookes, Peter. "The Defense Trade Cooperation Treaties with the United Kingdom andAustralia Advance the American Interest | The Heritage Foundation". Heritage.org. Archived from the original on 2010-02-24. Retrieved 2010-07-08. ^ Sharon Weinberger, "Here We Go Again: Industry and Government Revisit U.S. Export Controls", Aviation Week & Space Technology, 17 July 2006, page 82. ^ "Chinese Rocket Launches French Communications Satellite Into Orbit | China Rocket Launches & Satellites | China Space Program". Space.com. 2011-10-07. Retrieved 2014-05-21. ^ Geoffrey Barker, "Australian Aerospace wins $1.5bn bid", Australian Financial Review, 27 April 2006, page 6. ^ Max Blenkin, "Fighter Deal Stalls on Secret Technology", The Australian, 15 March 2006. ^ "MPs warn over US fighter jet deal". BBC News. 8 December 2006. Retrieved 5 May 2010. ^ Bruce Vaughn, Specialist in Asian Affairs (January 13, 2012). "Australia: Background and U.S. Relations" (PDF). Congressional Research Service. ^ Gates, Dominic (2006-01-22). "The Seattle Times: Business & Technology: Separation anxiety: The wall between military and commercial technology". Seattletimes.nwsource.com. Retrieved 2010-07-08. ^ 8 October 2009 (2009-10-08). "Brazilian brigadier bashes US defense export policies on YouTube | The DEW Line". Flightglobal.com. Retrieved 2013-08-18. ^ "Brazil favors France's Rafale jet – minister". Reuters. 2010-04-07. ^ "US State Department – Policy – Directorate of Defense Trade Controls". Pmddtc.state.gov. Archived from the original on 2014-05-21. Retrieved 2014-05-21. ^ a b "Minutes of the October 21, 2008 Plenary Session" (PDF). U.S. Department of State, Defense Trade Advisory Group. October 21, 2008. Retrieved 2014-05-21. ^ "Love Rocks: CASA's $600M Venezuelan Plane Sale Hits Heavy Turbulence, Crashes". Defenseindustrydaily.com. 2006-02-14. Retrieved 2014-05-20. ^ "EADS-CASA Cancels Military Plane Deal". Washingtonpost.com. 2006-10-19. Retrieved 2014-05-20. ^ "Venezuela EUA Impedem Embraer de vender Super Tucanos à Venezuela – Defesa@Net". Defesanet.com.br. Retrieved 2010-07-08. ^ "Military of Venezuela profile. Information about Military of Venezuela. Middle East culture and attractions". Mundoandino.com. Archived from the original on 2011-07-14. Retrieved 2010-07-08. ^ "Navy says no to buying American U.S. restrictions on technology can lead to delays". THE OTTAWA CITIZEN. Retrieved 2010-01-25. ^ "Sikorsky's Cyclone Touches Down in Canada". Defense Industry Daily. 8 March 2010. Retrieved 8 March 2010. ^ "Frequently Asked Questions (FAQs), Licensing of Foreign Persons Employed by a U.S. Person" (PDF). US Department of State. 2008-09-19. Retrieved 2014-05-21. ^ "U.S. rules for defence company in Quebec violate rights: commission – Montreal – CBC News". Cbc.ca. 2008-01-18. Retrieved 2014-05-21. ^ a b c "General Motors Corp. and General Dynamics Corp., Draft Charging Letter" (PDF). Retrieved 2010-07-08. ^ a b "How to Avoid Discrimination in Hiring, While Complying with Export Laws | Connecticut Employment Law Blog". Connecticut Employment Law Blog. 2016-08-31. Retrieved 2018-09-04. ^ "I: Introduction – What is a "deemed export" under the EAR/ITAR" (PDF). Archived from the original (PDF) on 2009-10-08. Retrieved 2010-07-08. ^ "US imposes improvements to Canadian export controls". Ploughshares.ca. 2002. Retrieved 2010-07-08. The exemption was only regained, after considerable effort by the Canadian Government, in 2001. ^ "Canada's Implementation of the new International Traffic in Arms Regulations (ITAR) Dual National Rule – CGP – Security and Information Services – PWGSC". Ssi-iss.tpsgc-pwgsc.gc.ca. 2009-01-14. Archived from the original on 2013-06-16. Retrieved 2014-05-20. ^ "Microsoft Word – FINAL CRC VERSION.doc" (PDF). Retrieved 2010-07-08. ^ "UK Warns USA Over ITAR Arms Restrictions". Defense Industry Daily. 2005-12-01. Retrieved 2010-07-08. ^ "ITAR Fallout: Britain to Pull Out of F-35 JSF Program?". Defense Industry Daily. 2005-12-07. Retrieved 2010-07-08. ^ "Treaty Between The Government of The United States of America and The Government of The United Kingdom of Great Britain and Northern Ireland Concerning Defense Trade Cooperation". State.gov. Retrieved 2014-05-20. ^ "Implementing Arrangement Pursuant to the Treaty Between the Government of the United States of America and the Government of the United Kingdom of Great Britain and Northern Ireland Concerning Defense Trade Cooperation". State.gov. Retrieved 2014-05-20. ^ "Treaty Between The Government of The United States of America and the Government of Australia Concerning Defense Trade Cooperation". State.gov. Retrieved 2014-05-20. ^ "Implementing Arrangement Pursuant to the Treaty Between the Government of the United States of America and the Government of Australia Concerning Defense Trade Cooperation". State.gov. Retrieved 2014-05-20. ^ "Microsoft Word – Final version CRC Report – UK-US Defence Cooperation Treat" (PDF). Retrieved 2014-05-20. ^ "Fact Sheet" (PDF). Retrieved 2010-07-08. ^ "The Defense Trade Cooperation Treaties with the United Kingdom and Australia Advance the American Interest". Heritage.org. 2008-09-29. Archived from the original on 2010-02-24. Retrieved 2014-05-20. ^ "Senate Committee Tables U.K and Australia Defense Treaties". ExportLawBlog. Retrieved 2014-05-20. ^ a b c d Zelnio, Ryan (January 9, 2006). "A short history of export control policy". The Space Review. ^ Stevenson, Richard W. (September 16, 1988). "Shaky Start for Rocket Business". The New York Times. ^ a b c Zinger, Kurtis J. (2014). "An Overreaction that Destroyed an Industry: The Past, Present, and Future of U.S. Satellite Export Controls" (PDF). ^ Xin, Dingding (2011-08-20). "Rocket malfunction causes satellite to not reach preset orbit". China Daily. An experimental satellite launched on Thursday failed to enter its designated orbit after its rocket malfunctioned. It was the first launch failure to occur in China since August 1996, when a Long March III launch vehicle proved unable to send Chinasat-7, a communications satellite, into orbit. ^ Harvey, Brian (2013). China in Space: The Great Leap Forward. New York: Springer. pp. 160–162. ISBN 9781461450436. ^ Ferster, Warren (5 September 2013). "U.S. Satellite Component Maker Fined $8 Million for ITAR Violations". SpaceNews. ^ "Caleb Henry, New US Satellite Export Reforms Gets Positive Response from Industry, in Via Satellite, May 16, 2014". www.satellitetoday.com. ^ a b de Selding, Peter B. (April 14, 2016). "U.S. ITAR satellite export regime's effects still strong in Europe". SpaceNews. ^ de Selding, Peter B. (9 August 2013). "Thales Alenia Space: U.S. Suppliers at Fault in "ITAR-free" Misnomer". Space News. The Directorate of Defense Trade Controls (DDTC), U.S. Department of State The DDTC is charged with controlling the defense articles and defense services covered by the United States Munitions List (USML), which is contained in the ITAR. Federation of American Scientists' Export Control 'Reform' Site The Federation of American Scientists has compiled an extensive collection of resources chronicling the documents and reforms that the U.S. government has made in its export control policy. A Short History of Export Control Policy This article prepared by Ryan Zelnio for The Space Review gives a concise view of ITAR history. The Effects of Export Control on the Space Industry This article prepared by Ryan Zelnio for The Space Review gives an industry view of the effects of ITAR on the U.S. The Space Show interviews Ann Ganzer, Director of the Office of Defense Trade Controls Policy (DTCP) for the State Department This mp3 interview, conducted by Dr. David Livingston of the Space Show, examines the impact of ITAR on higher education and space programs. It includes the "ITAR is Three Types of Stupid" quote. Space Tourists and Deemed Exports?